We just had the cutest release of baby dies. There are 42 different designs. 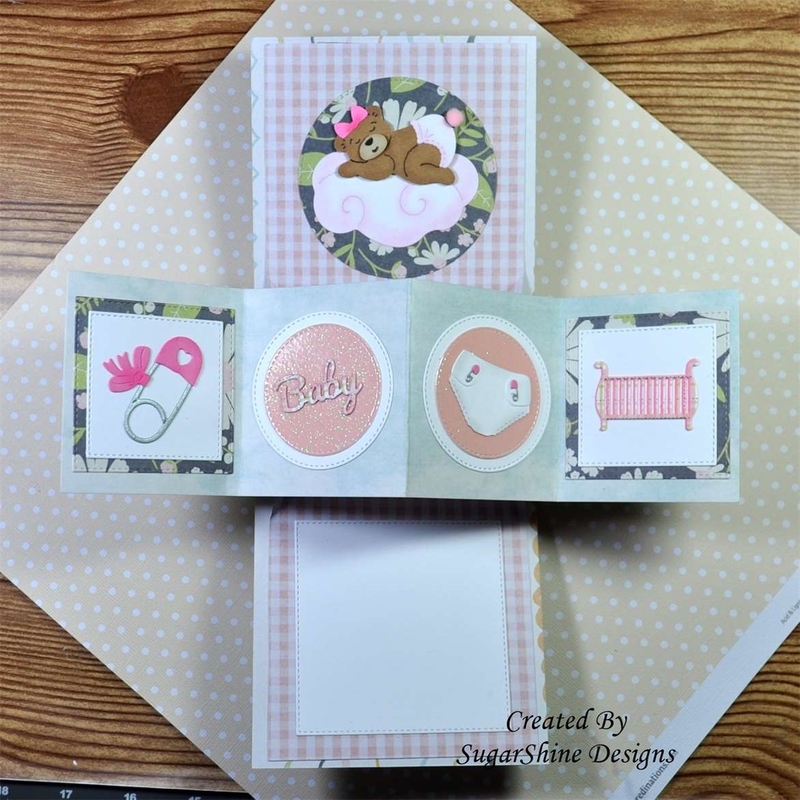 So perfect for creating cards to welcome the new baby, baby birthday cards or even as baby shower invitations. I have several nieces who recently married and now are expecting so I will need baby cards as well as Christening cards very soon. So today for your viewing pleasure, I am showcasing the new girl christening gown die. It's such a beautiful die that cuts a sweet baby dress. So let's get started with some details on what I did this week. I already had the card idea in mind. 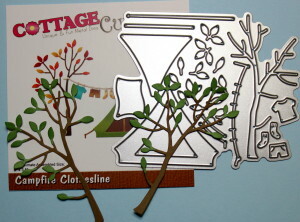 So when I saw the sketch #642 on Splitcoaststampers this week, I knew it would work perfectly as my layout. 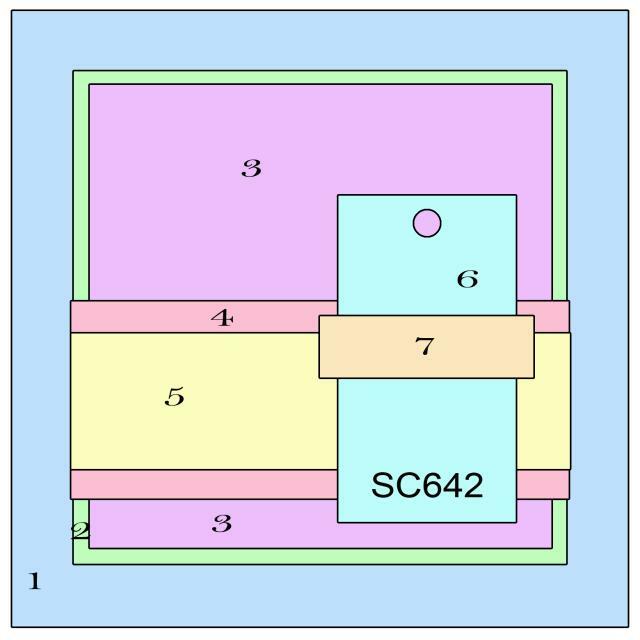 It's a square layout this week. I haven't made a square card for awhile. Champagne Mesh Ribbon Layer: 1 1/2"
Blush Pink Ribbon Layer: 1/2"
Step 1. I figured out my card sizes and then cut all the cardstock and patterned paper. 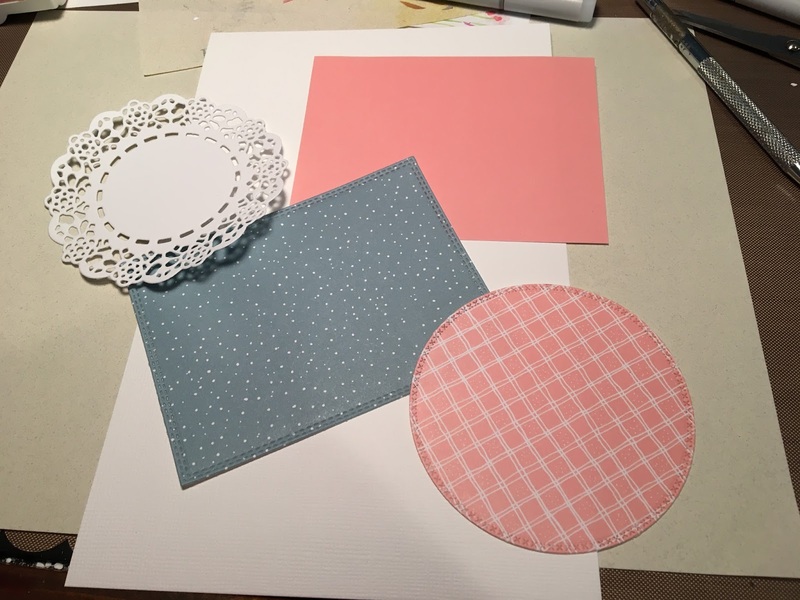 I found this pretty blush pink paper in my stash. I liked how the hearts are cascading down the paper. On the reverse side is a pretty sand color lace pattern. 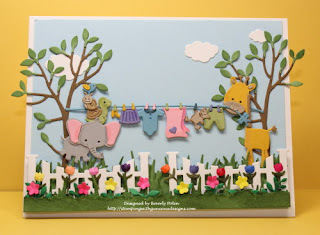 Step 2: I wanted to have a cross in this design because it is a christening. And in this Christian ceremony the baby is dedicated to God. I decided to stencil the cross pattern instead of using the die cut. I was going after a very soft look for this card. 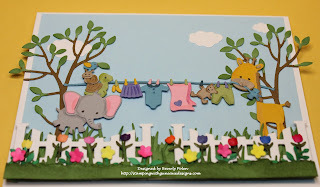 I used the Easter Cross die and cut the stencil from a window sheet. I used blush pink ink to stencil the cross. 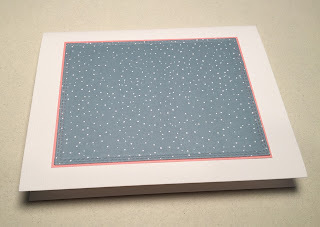 The paper size on this vanilla panel is 1 3/4" x 3 1/4" and the pink layering panel is 1 7/8" x 3 3/8". 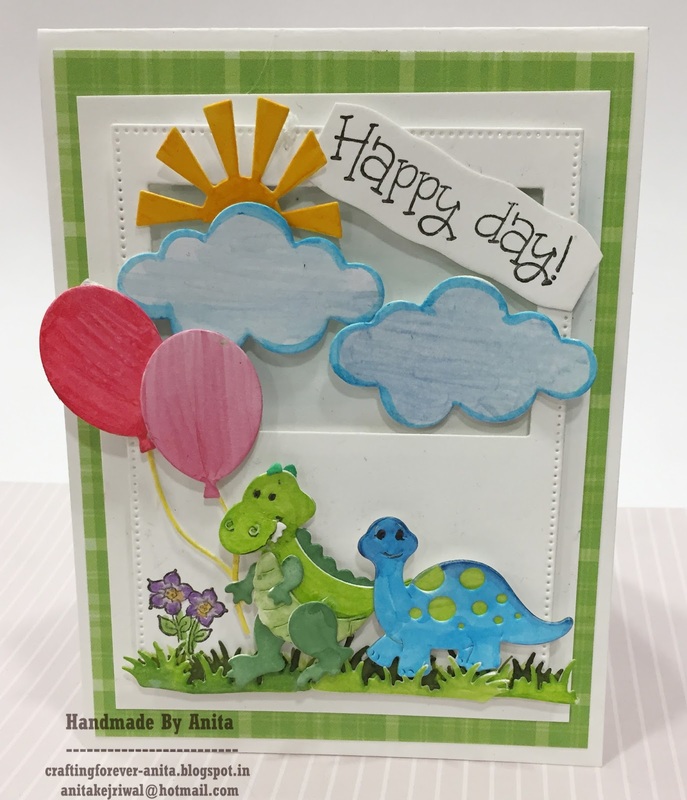 I used a corner rounder for some added interest. It's layer #6 on this sketch. I decided to stamp my sentiment directly over the stenciled cross. I used a brown sugar ink. This sentiment is layer #7 in this sketch. 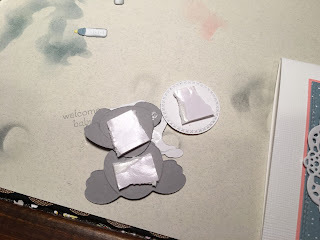 Step 3: I cut the christening gown in vanilla cardstock. The other pieces are cut in blush pink. 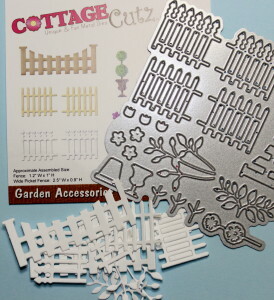 This is another of the detailed dies from CottageCutz. 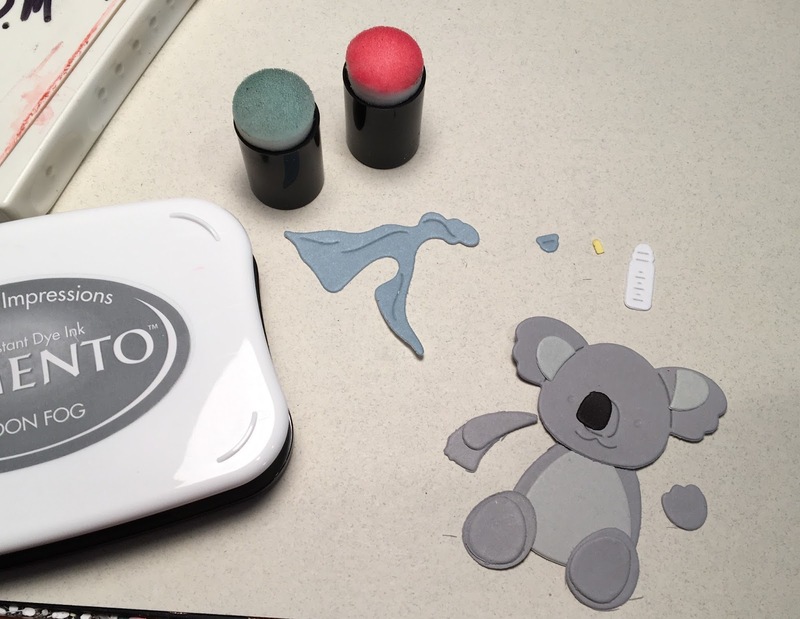 With this die you can cut the collar, buttons, sleeve trim, waistband, bow and hemline. You have the option to cut in white and color the pieces, or do as I did and cut with colored cardstock. I really like how this gown turned out. It's so soft and girlie. Step 4: Time for card assembly. 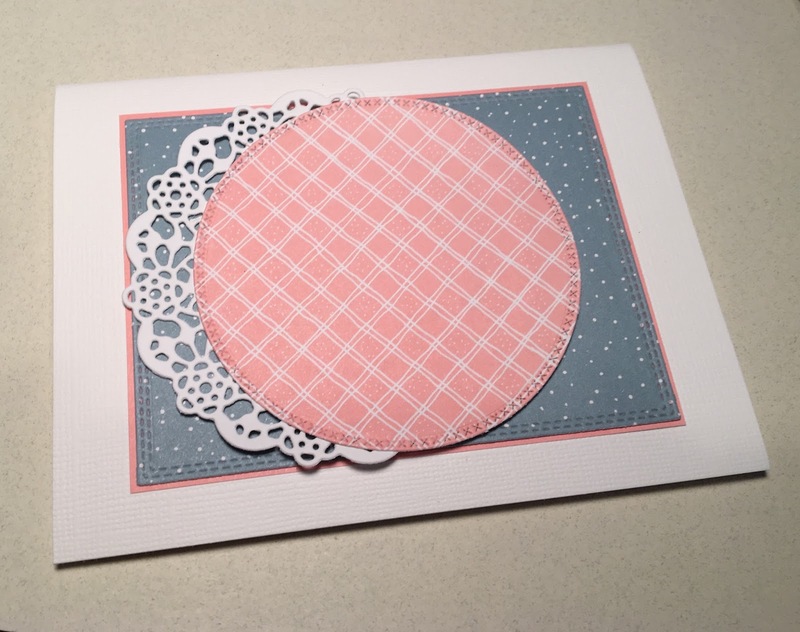 I originally was going to use the lace pattern that is on the reverse side of my patterned paper. But when I placed it on the card I thought it was a bit dark. So I used a champagne mesh and blush pink ribbon. It kept the softness of my card. To finish it off I added some pearls in the corner and a butterfly to the cross panel. Well, that's it for me for this post. I hope I have given you some inspiration for using this new die. 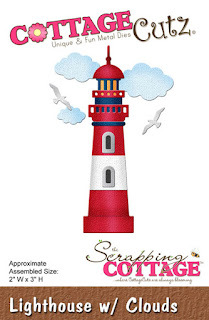 So until next time........hugs to you Blogger friends! Happy Friday !! It's Anita here with the new release baby dies. 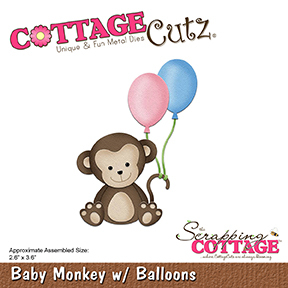 CottageCutz has released a whole new collection of adorable baby theme dies and I am sure you will love them all. you can see them here. 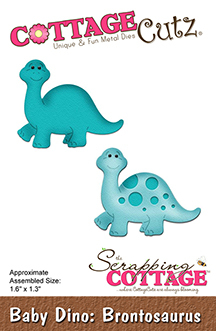 I had made two cards with these cute dies last week. If you missed that post, do check it out here. I loved the way this card has turned out. 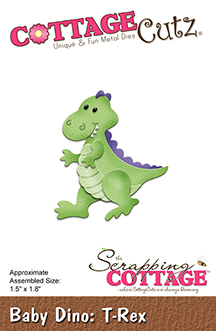 I am sure all kids will adore this card. 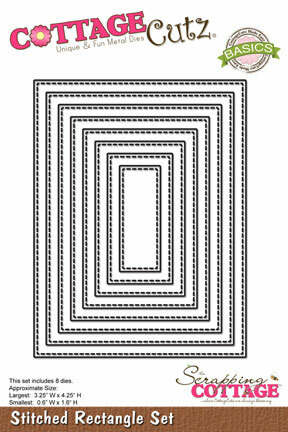 To make this card, follow the instructions below. 1. 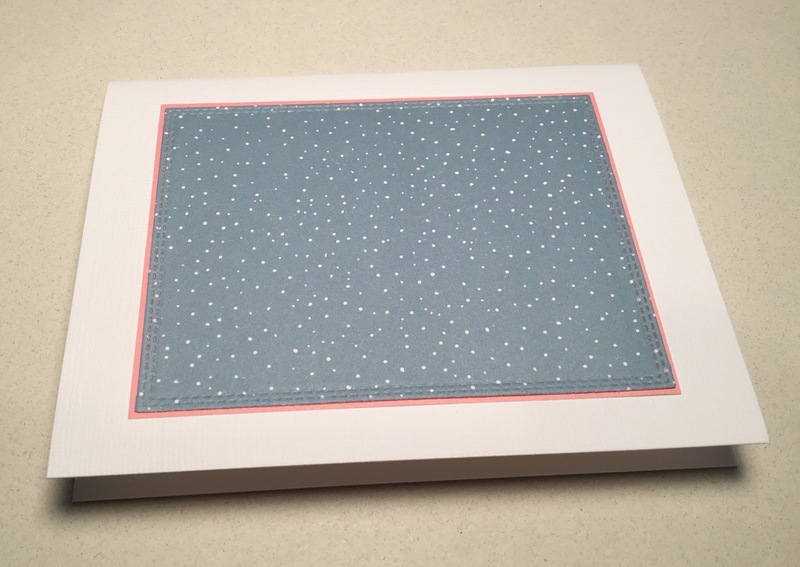 Cut a frame with Stitched Rectangle die using the largest die and small die. 2. Adhere it on a card stock a little larger than the frame. 3. 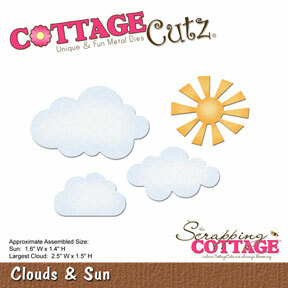 Cut clouds, sun , grass baby animals and balloons from card stock . 4. Colour them with copic markers. 5. 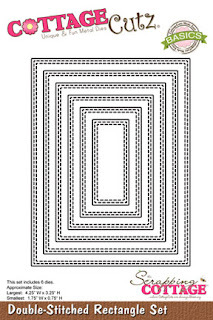 Arrange the die cuts as shown. 6. Assemble the animals pieces together. For this , follow the picture given on the package. 7. Stamp a flower and colour it. Used the balloons from this die. Do check the store for all the amazing collection. I hope you liked my card. Good Morning Scrapping Cottage Friends!! It is Pam sharing with you today. Spring always brings new life! It is so much fun to see all of the new baby birds all around our neighborhood. Plus all of the other new born animals such as the fawn, fox and squirrels! 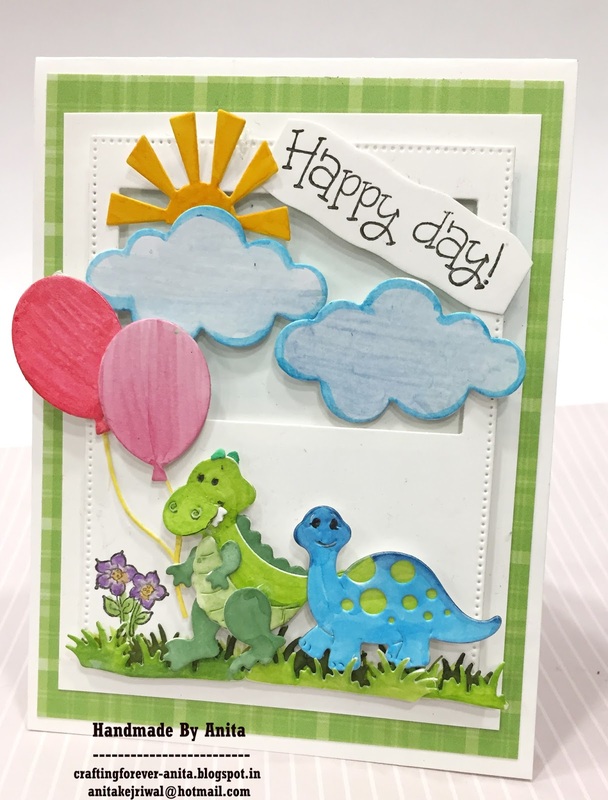 That is what inspired me in doing this sweet card. 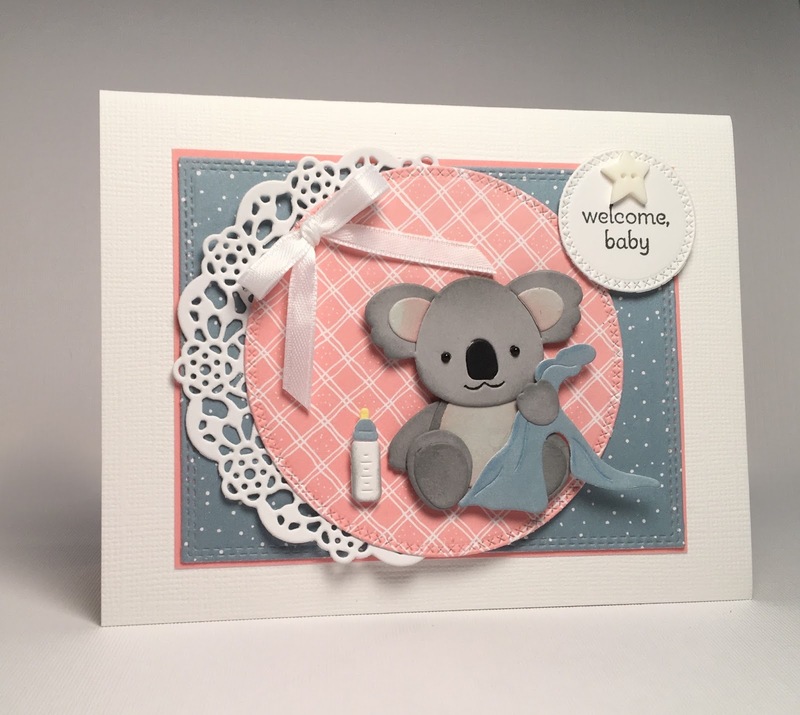 I am using one of Cottage Cutz new baby die sets called Baby Koala with Blanket. 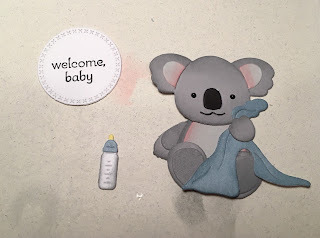 Here are my design steps to make this adorable little keepsake! 1. Use the large Double-Stitched Rectangle Die to cut out the blue designer paper and then cut a slightly larger piece of piece of pink card stock to mat it. 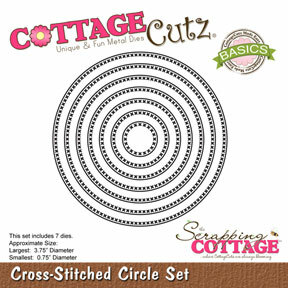 Next cut out pink designer paper using the second largest circle from the Cross-Stitched Circle set. 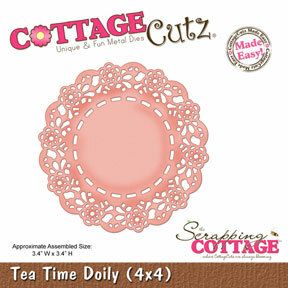 Using white card stock cut out the doily using Tea Time Doily. 4. 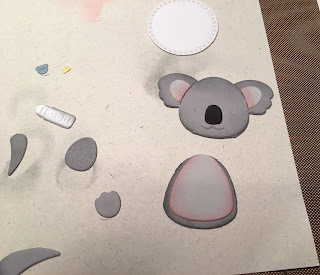 Cut out all the pieces of the Baby Koala with Blanket. 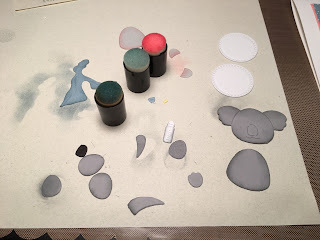 Use dark gray, light gray, black, white, yellow and blue card stock for the pieces. Thank you for stopping by today and I hope you decide to make a new mom very happy with one of these darling new release baby dies! Hello, friends! 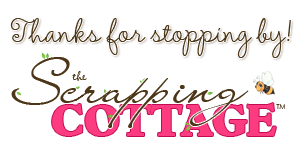 So glad you stopped in to visit Scrapping Cottage today! 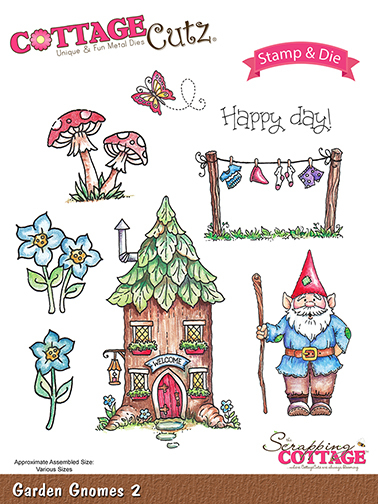 It is Bev Polen from Guneaux Designs, and I am a guest designer today for Scrapping Cottage. 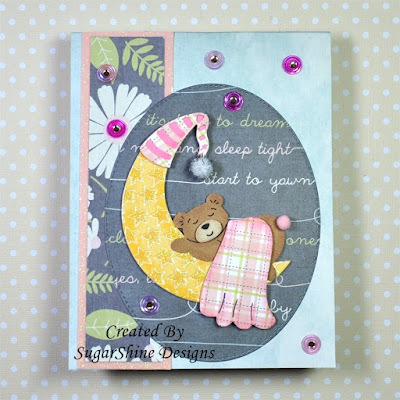 I have for you a baby card that features one of the new baby dies from the recent release. 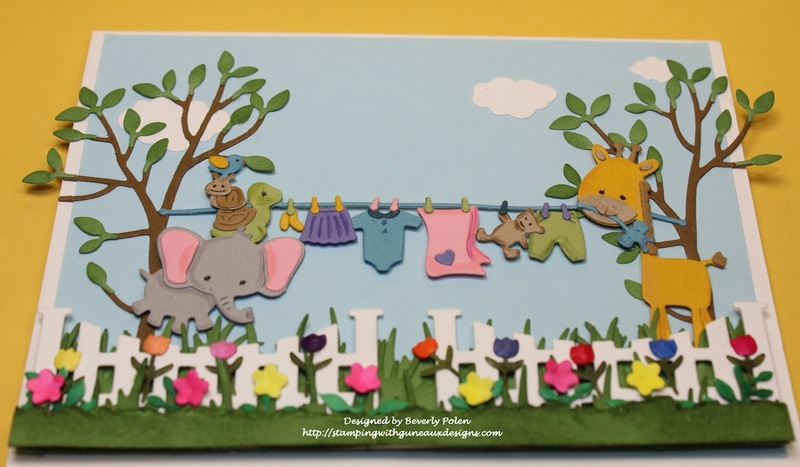 If you have yet to check out the baby dies, you can find several adorable ones here. My card features one of the new baby dies, the CottageCutz Baby Clothesline Die. Step 1. 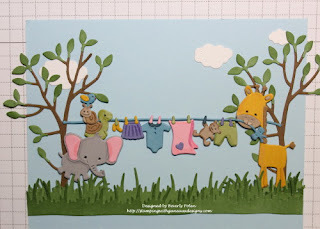 Cut out the clothesline pieces and attach them together. The assembled clothesline is approximately 4-3/4" long. Step 2. 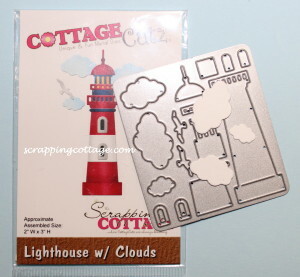 Use the CottageCutz Lighthouse With Clouds Die to cut out some clouds. Step 3. 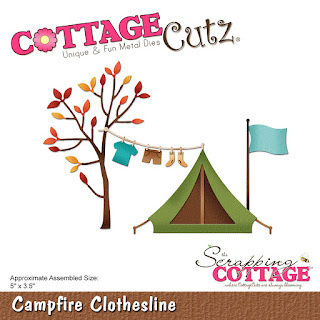 Use the CottageCutz Campfire Clothesline Die to cut out and assemble two trees. Step 4. 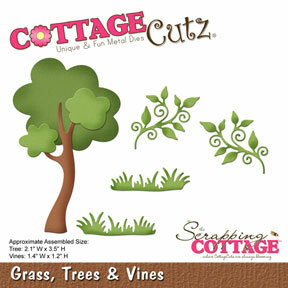 Use the CottageCutz Spring Grass Die to cut out three pieces of grass from green card stock. Step 6. Start assembling the card by cutting a 5-1/4" x 4" piece of blue card stock for the first layer of the card. 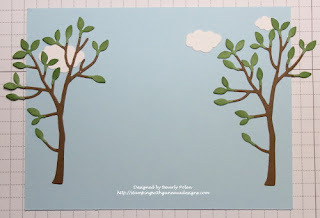 Attach the clouds and trees to the blue card stock. Step 8. Attach the fence to the left and right sides of the piece using foam tape. Attach a third layer of grass with foam tape at the bottom of the fence. 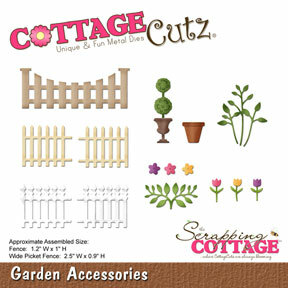 Color and add the flowers and stems onto the fence. 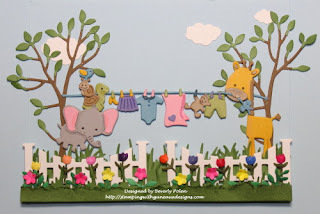 Cut a 5-1/4" x 3/4" piece of green card stock, tear a small portion from the top, sponge on green ink, and place it at the bottom of the fence and floral stems. Step 9. Cut a 8-1/2" x 5-1/2" piece of white card stock, fold in half for the card base, and attach the above piece to the card base front. I hope you try creating a card with the CottageCutz Baby Clothesline Die. It will be fun!